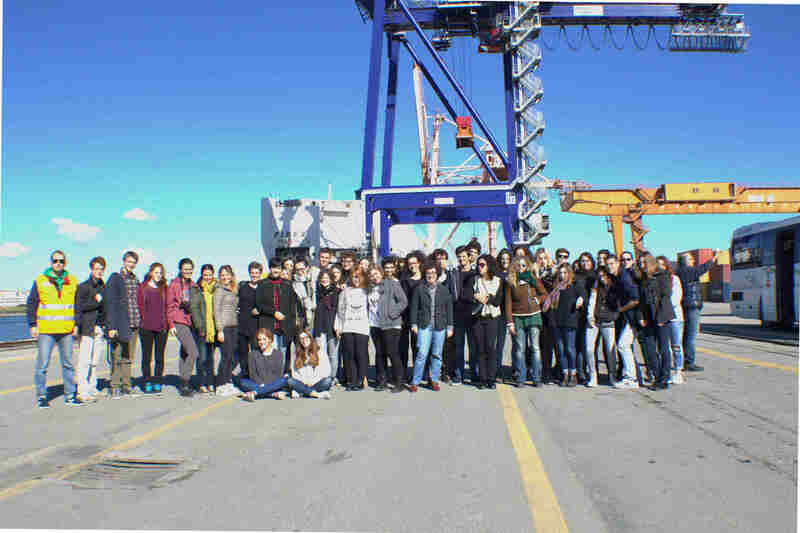 For Terminal Container Ravenna (TCR), week forty-three of 2015 marks the conclusion of a series of school visits placing the port as the main learning focus for many students of 12 different high school classes based in Ravenna. TCR, together with SAPIR – being the promotors of the didactic initiative – hosted a guided tour which showcased the many activities of the port. The young guests from the high school "Nervi-Severini” led by Federico Masotti (TCR’s QSA manager) - were provided with the opportunity to witness first-hand, the quay operations being performed on RO-RO and Container ships and the other terminal activities in the yard and at the gate. The students responded proactively during to the terminal visit by asking questions and demonstrating a strong interest in improving their knowledge of port and container terminal activities. They were provided with the opportunity to understand the importance of the role of TCR in ensuring an efficient end-to-end distribution supply chain, connecting the place of origin of the imported and exported goods to the consumers market in Italy or abroad. Additionally they discovered that port industry stands as one of the most important and prestigious assets for the territory, providing potential opportunities for the future of the younger generations.